My iPad Is Disabled & Says "Connect To iTunes"! Here's Why & The Fix. You are at:Home»iPad»My iPad Is Disabled & Says “Connect To iTunes”! Here’s Why & The Fix. You have a disabled iPad and you’re completely locked out of it. It’s telling you to connect to iTunes, but you’re not sure why. 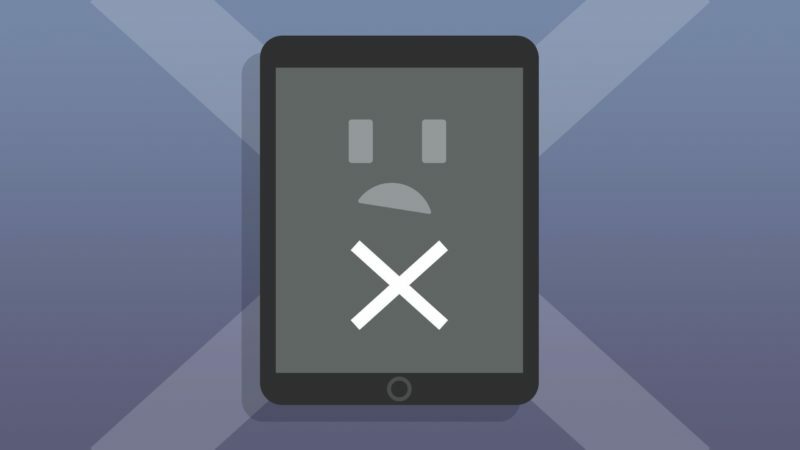 In this article, I’ll explain why your iPad is disabled and show you how to fix the problem for good! Why Is My iPad Disabled? 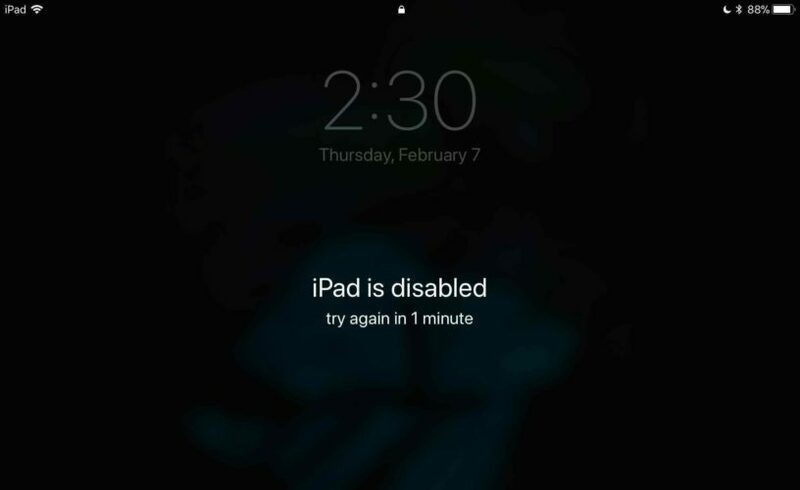 6 attempts: Your iPad is disabled for 1 minute. 7 attempts: Your iPad is disabled for 5 minutes. 8 attempts: Your iPad is disabled for 15 minutes. 9 attempts: Your iPad is disabled for an hour. 10 attempts: Your iPad will say, “iPad is disabled. Connect to iTunes”. It’s important to note that you can enter the same incorrect passcode as many times as you want without disabling your iPad. So, if your passcode was 111111, you could enter 111112 twenty-five times in a row without disabling your iPad. How Did My iPad Get Disabled? You may be thinking to yourself, “Wait a minute! I didn’t enter my passcode incorrectly ten times!” That’s probably true. A lot of the time, iPads get disabled because small children who love tapping buttons or nosy friends who want to read your texts and emails enter the wrong passcode ten times in a row. Can I Unlock My Disabled iPad? Unfortunately, your iPad can’t be unlocked once it has been disabled. You’ll have to connect your iPad to iTunes and restore it. Some people believe that Apple techs have a special software program or work-around for this problem, but that’s not true. If you go into an Apple Store with your disabled iPad, they’ll erase it and help you set it up again. Below, we’ll show you how to do that from the comfort of your home, so you don’t have to make a trip to the Apple Store. Is It Too Late To Backup My iPad? Yes. There’s no way to backup your iPad once it has been disabled. 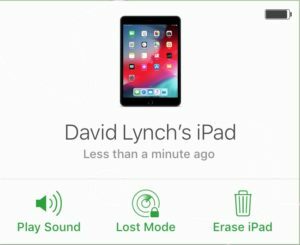 There are two ways to erase a disabled iPad — using iTunes or iCloud. We recommend using iTunes because it’s a simpler process and it can be done on any iPad. The way to erase your iPad using iTunes is to put it in DFU mode and restore. This is the deepest type of iPad restore and it will erase and reload every line of code on your iPad. Check out our step-by-step guide to learn how to put your iPad in DFU mode! You can erase your disabled iPad using iCloud if it was signed into iCloud and Find My iPad was turned on before it became disabled. If you want to use iCloud to erase your iPad, go to iCloud.com and enter your Apple ID and password. Then, click Find iPhone. Next, find your iPad on the map and click Erase iPad. Now that the stressful part is over, let’s set up your iPad again. How you set up your iPad will depend on what type of iPad backup you have. The Set Up Your iPad menu will appear once you’ve completed the DFU restore. It’s the same menu you saw when you took your iPad out of the box for the very first time. After setting up your language and a couple other settings, you’ll reach the Apps & Data menu. Here’s where you’ll be able to restore your iPad backup. If you have an iCloud backup, tap Restore from iCloud backup. Your iPad doesn’t have to be connected to iTunes if you’re restoring from an iCloud backup. If you have an iTunes backup, tap Restore form iTunes Backup. You’ll have to connect your iPad to iTunes in order to restore from a saved iTunes backup. Once your iPad is connected, a prompt will appear in iTunes showing you how to restore the backup. If you don’t have an iTunes or an iCloud backup, I recommend unplugging your iPad from iTunes to speed up the set up process. You can sync your iPad to your iTunes library after you’ve set it up again. You’ve restored your disabled iPad and you can start using it again! Make sure to share this article with friends and family on social media to let them know what to do if their iPad is disabled. Feel free to leave any other questions you have about your iPad in the comments section down below. Next Article How Do I Put An iPad In DFU Mode? Here’s The Fix!